Book your UK airport parking securely online and you're guaranteed to save up to 60 % on the gate price at over 200 car parks throughout all UK Airports including Gatwick Airport, Heathrow Airport, Manchester Airport and Glasgow Airport. Find the parking deal to suit your budget and requirements. Our unbeatable parking offers include Official Short Stay, Mid Stay and Long Stay Parking, we also have great deals on Valet parking and Meet and Greet at many Airports. Be sure to book your parking well in advance to secure the cheapest deal. You can also call our award winning help desk who will be happy to take your booking or answer your enquiry over the phone on 0871-3602002. If you have an early flight you might like to consider our extensive range of Airport Hotels and Parking options that often work out the same price or a few pounds more than parking alone. 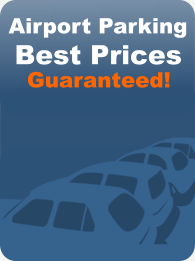 UK Airport Parking - Choose from over 200 Car Parking options at our guaranteed lowest prices. - Park and Ride concept is easy and the most common throughout the UK. Simply park your car and jump on the transfer bus to and from the airport terminal. - Spoil yourself with the Meet and Greet Parking service, simply drive to the terminal, meet the driver who will park your car for you. On your return your car will be waiting at the terminal. - The car park will be within the airport boundary, transfer buses will be provided. This option is more expensive than Off Airport. - Park your car at the arrivals/departures area, from there a driver will park your car whilst you catch the transfer bus to the terminal. On your return the driver will bring your car to the same arrival/departure designated area. - As it suggests, this car park will be off the airport boundary, quite often it is a cheaper parking option. Transfer buses take you to the terminal. - If you have an early flight or late arrival you might like to consider an Airport Hotel with Parking Package. We have some fantastic packages at all major UK airport with hotels servicing their respective terminals. - Normally only available in the busy peak holiday periods between March and October. Transfers are provided. How to get the cheapest prices and best deals for Airport Parking. Airparks are one of the best value options for parking your car whilst you are away on holiday. Airparks provide a reliable and professional service with excellent security facilities as well as regular transfer services. Airparks can be found at 10 of the Uk's largest airports - Gatwick, Manchester, Newcastle, Birmingham, Cardiff, East Midlands, Glasgow and Luton. - By Pre booking your parking as early as possible you will save yourself money. Airport Car Parks charge a premium for turning up on the day which can be upto 60% more than internet prices. Our advise is to take advantage of advance purchase price offerswhich are withdrawn subject to availability and are withdrawn closer to departure dates. - Long Stay Stansted, Purple Parking Gatwick, Silver Zone Bristol, Click Park Heathrow, Manchester Jet Parks, Gatwick Maple Manor Meet and Greet, Airparks Meet and Greet Birmingham, Airparks Luton, Purple Parking Long Stay Heathrow, Long Stay East Midlands Parking. These car parks are often the best value options at their respective airports. Enter your travel dates to see these and many more great prices. - If you want some VIP treatment or if you are travelling with children and lots of baggage you might like to consider Valet Parking servicing Terminals 3,4 and 5 at Heathrow Airport. All you need to do is drop your car at the terminal and simply walk to departures, your car will be parked for you and then returned to the same spot on your return from holiday. Prices start from £15.00 per day. - As well unbelievably cheap airport parking and airport hotel deals, you can also pre book room upgrades 'when available' at selected airport hotels, also look out for worth while money saving offers at hotel restuarants which can include breakfast offers and two or three course evening meal deals. All offers will be shown as you proceed through the booking process. Our Airport Parking prices wont be beaten on price, we check over 200 car parking prices every week to ensure our prices are the best. When you enter your dates into the booking engine above we will provide you with a range of parking options available for your dates. We arrange parking solutions at all major UK Airports for all budgets and requirements. All our official parking products utilise the latest security measures and include the Park Mark security awards. Save money at these Airports by Pre Booking your Airport Parking in Advance with Bluedog. Why Book with Bluedog Parking ? Upto 60% off gate prices. © 2019. Bluedog: Airport Parking. All Rights Reserved.